These distressed shorts have been one of the best purchases I have made this summer. The faded blue and distressed spots add an edge to my more preppier outfits and keeps the look more balanced. Additionally, this straw tote has been another favorite. 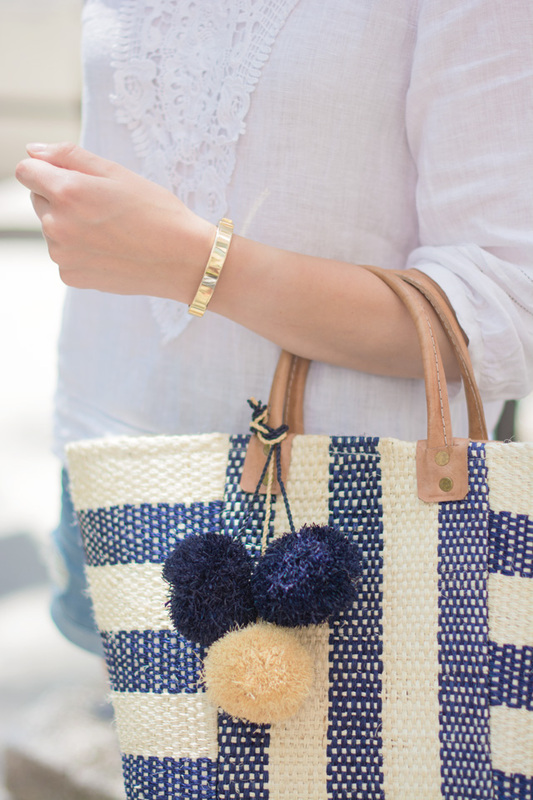 I wore it before on the blog here and keep finding myself grabbing it to run errands. It’s large enough to fit everything I need, but not too bulky like some other straw totes. Loving this summer look!! It's so fresh and cool!! You look gorgeous! !